The winter presses on – with over 56 inches of snow in NYC in 2014. I am not sure how many more Sunday montage titles I can use – maybe Snowmageddon is next. 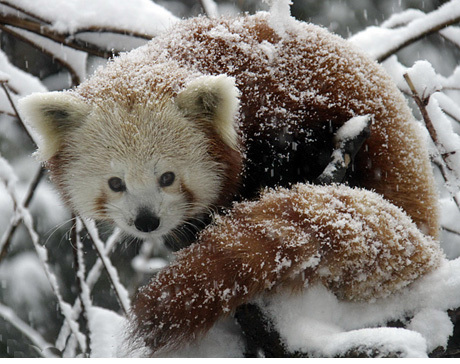 The Central Park Zoo animals (especially the snow leopards, snow monkeys and red pandas) are my snow muses. Also watch a lovely video that my friend and Zoo Guide Wendy Walters made of our adorable cubs as they romped in the snow. A shout out to Wendy for deleting the sound of my clicking camera while she was filming. If you enjoy my weekly photos, how about signing up for my next Central Park Zoo Photography Workshop on Sunday, March 9, from 8:30 to 10:30. Experience breakfast and a photo shoot with our Tropical Birds and maybe we will be lucky and there will still be some opportunities for snow photos too.